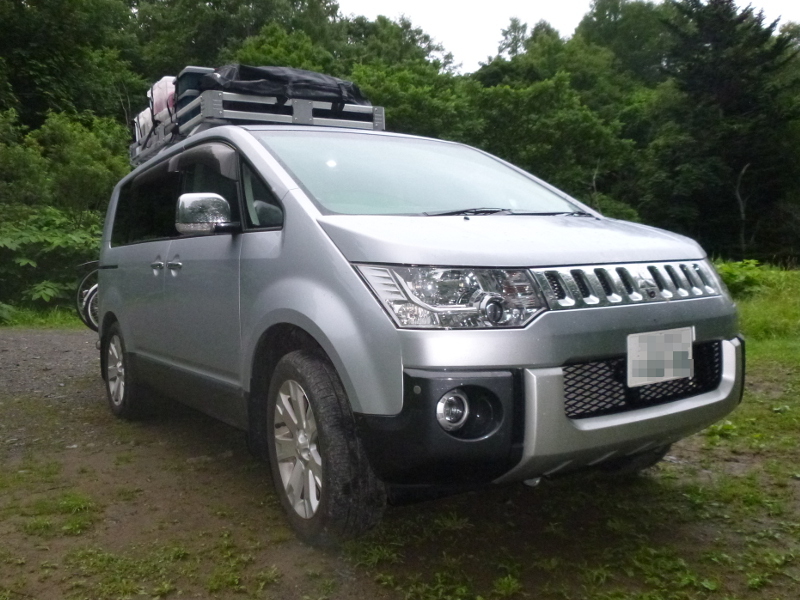 I attached a hitch member into Delica D:5 to use hitch carriers such as bike carriers. 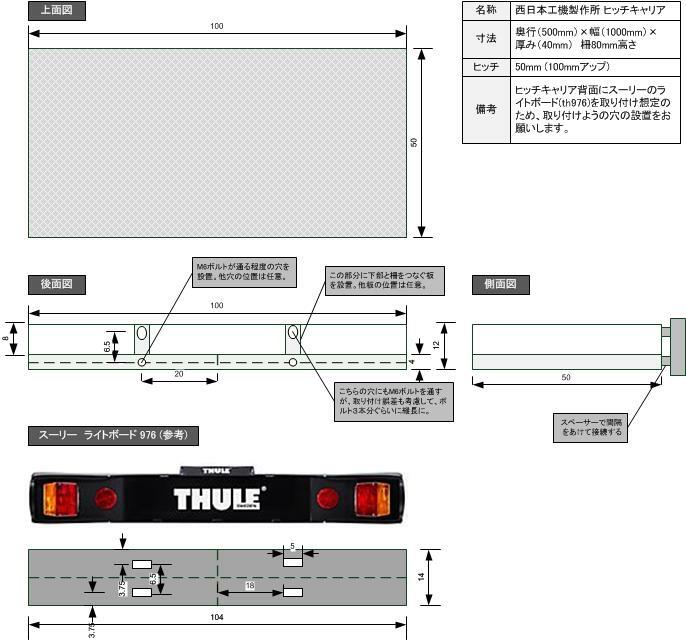 However, I had to design and order the following stainless plate to change the power socket to EU type for Thule carriers because the hitch member, SUNTREX TUGMASTER, supports only a US type power socket as default. 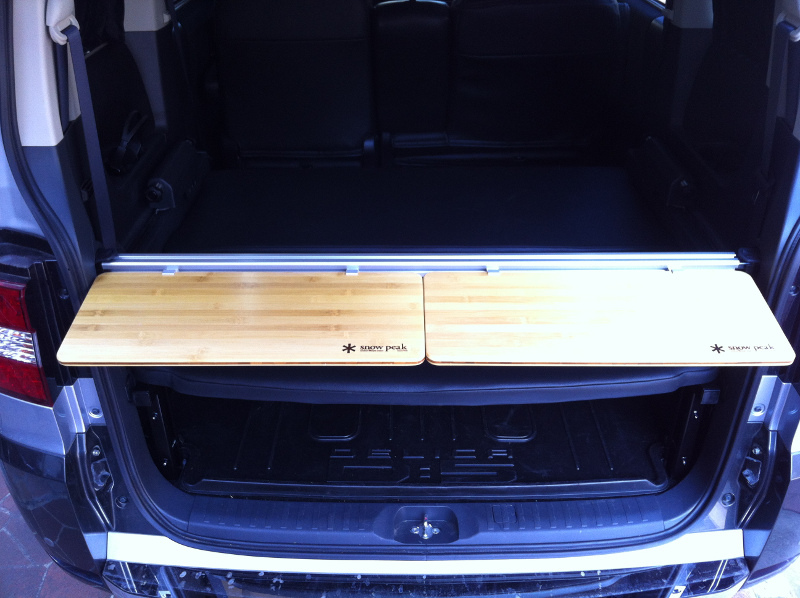 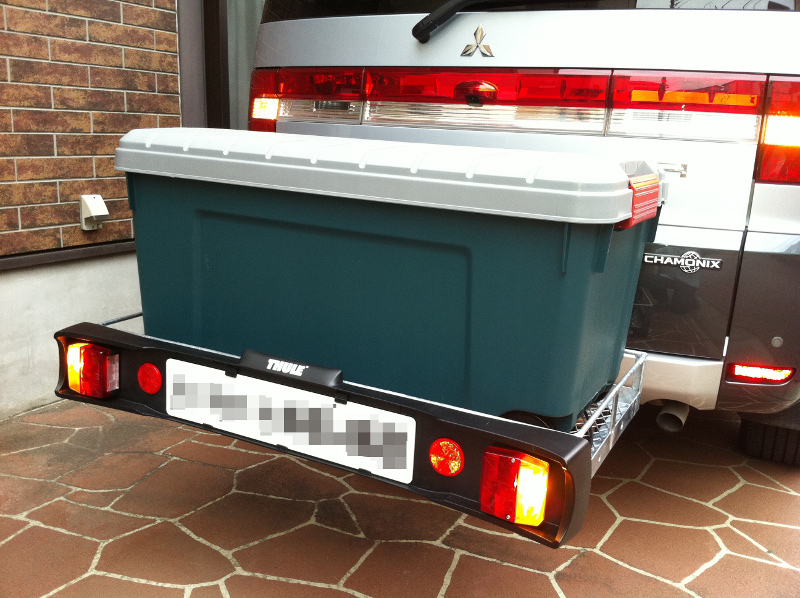 To carry big boxes for camping and fishing, I ordered the following custom hitch carrier from Nishinihon Kouki Seisakusyo. 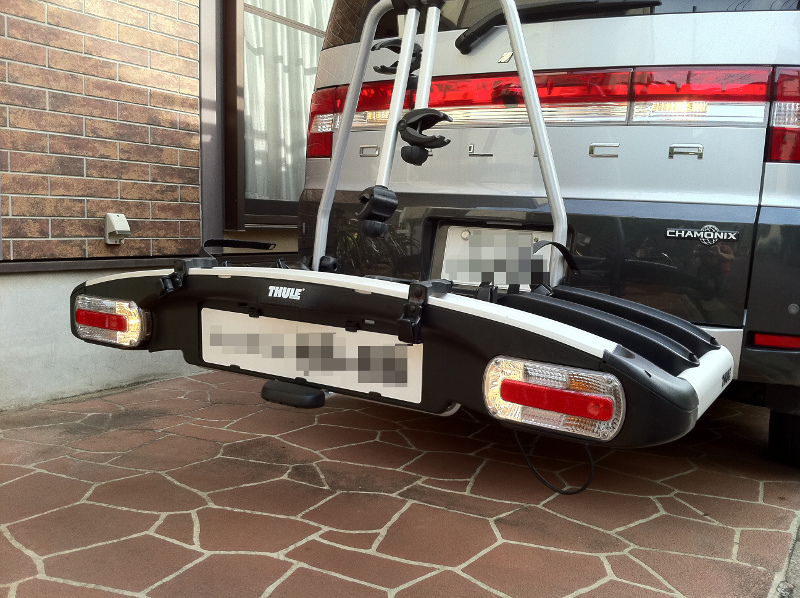 Because I had a light board, Thule Lightboard 976 for Thule Xpress 970, I designed the hitch carrier to be able to connect the light board easily. 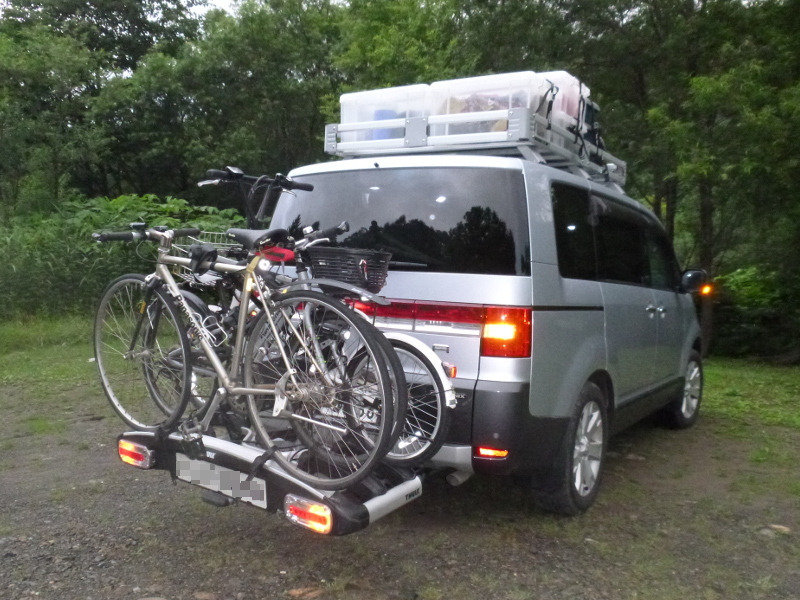 I imported the cycle carrier from England on a personal basis. 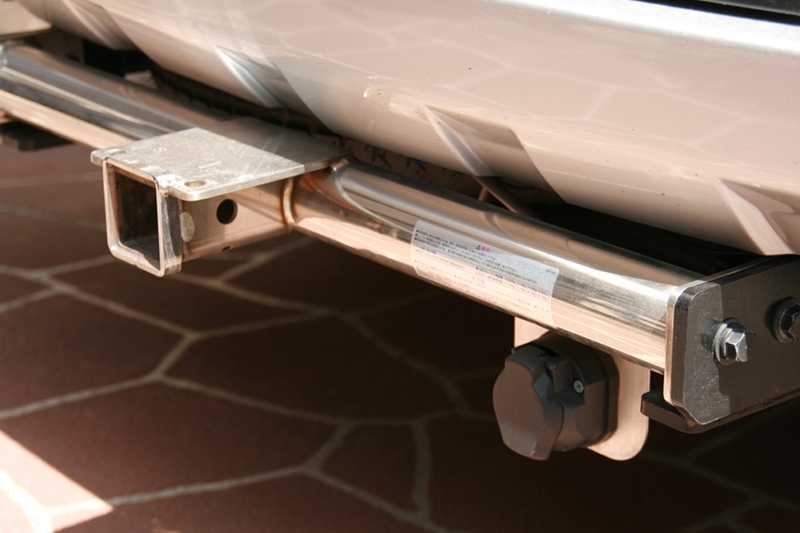 To use the cycle carrier in Japan, I have to modify the wire connection and change the light bulb. 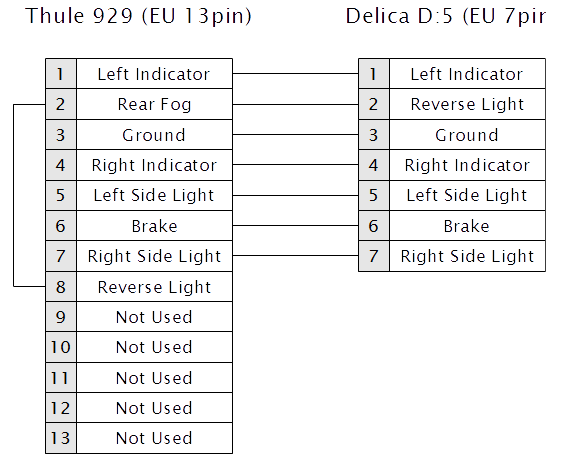 I changed the back fog light into a normal back light because the back fog light is not necessary under Japanese law.